I have a wbv-03 Peerless boiler manufactured in 08. It uses a tankless coil. I am having hot water issues. I was reading the manual and it says the mixing valve should be a min of 12 inches from the in and out of the tankless coil. I measured and it is only 6 inches. Would this cause a problem with the hot water? What type of "mixing valve" do you have? Take a picture and post it or send the make and model number. Looks like it is installed correctly. What hot water issues are you having? That looks like an older version of the AM-1 mixing valve. It might not have check valves in it, or at 11 years old, the checks or the valve itself may have thrown in the towel. There's also no thermal loop in the installation. I would have the mixing valve replaced and the installation reconfigured. The mixing valve is brand new. The issues with the water is that it is hot for a few moments then it goes to cool when you turn the shower on. The shower valve was replaced thinking that was it but no change. I have taken out the faucet strainers and does the same with them with high demand for water. 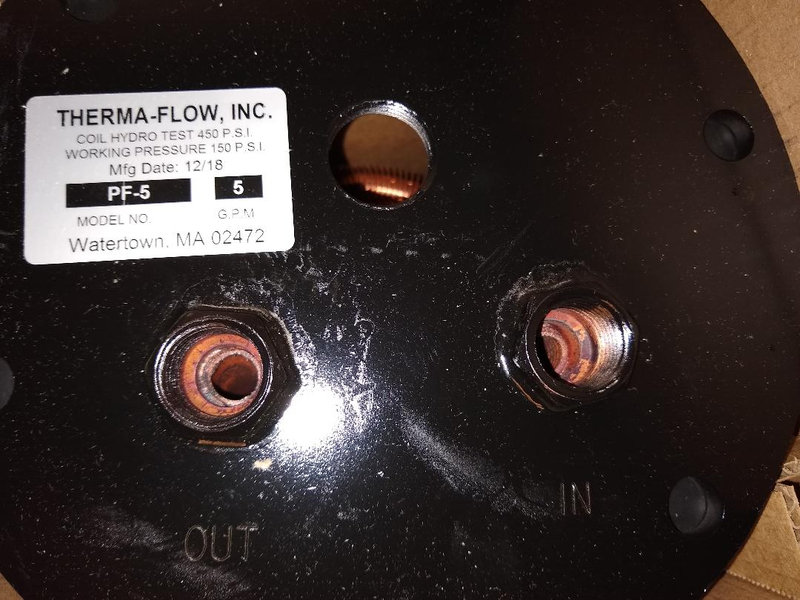 When i replace the valve i wanted to see what kind of flow was coming thru the tankless coil so i plugged the cold side where it connects to the valve. I then ran water thru the coil and it seemed to flow like coming out of the faucet. I am thinking the coil might have issues on the outside not having good heat transfer? 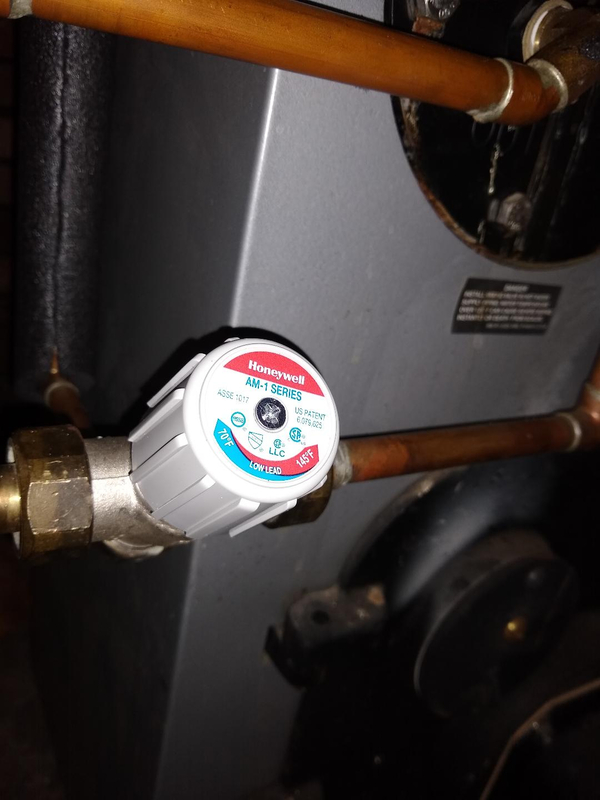 Boiler has 2 zones of forced hot water seems to be working fine. The hole valve is new..........another thing to check is the built in check valves. They might not be seating properly. How's your water quality? Has the coil ever been descaled? If this is a problem which has been getting slowly and steadily worse, rather than an "it was fine yesterday" type of thing, it could well be that the coil has built up scale, either inside or outside. To learn more about this professional, click here to visit their ad in Find A Contractor. Turn on your tub faucet full hot and go down to your boiler. observed the temp of of the pipe coming out of the boiler compared to the temp of the water coming out of your mixing valve. 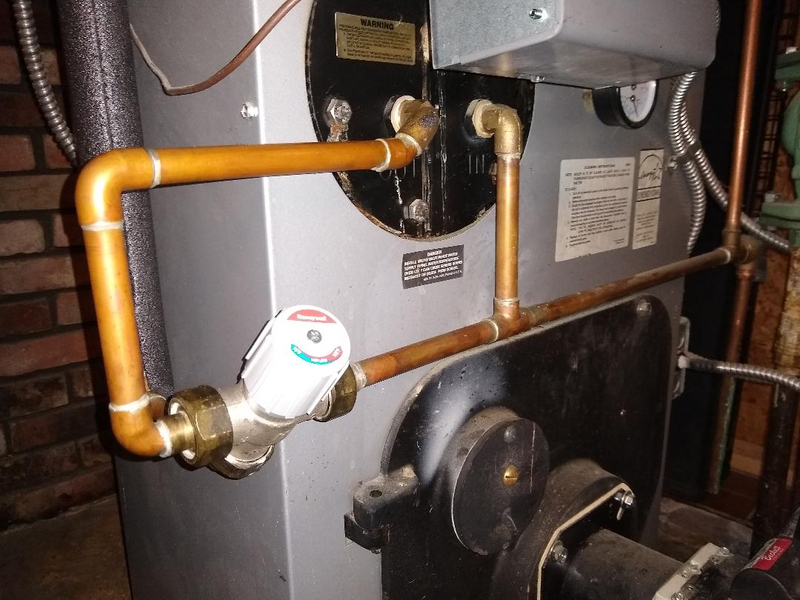 Your outlet from the boiler to the HOT pot of the valve should be piping hot during this time, it should be to hot to touch for more than a quick second. From what your saying you will likely find the water coming out of your boiler and out of your mixing valve to be the same temp. meaning the water is not getting hot enough when going through the coil to satisfy needs. If that is the case you will need your coil de-scaled or replaced. Ok I turned the tub on full hot. Held my hand on hot pipe side of coil and cooled right down and never got hot until shut the water off then as it is sitting it will get hot again. The coil has never been replaced as far as I know. Sounds like the check valves that are built into that valve may not be seating properly. Debris from the new install may have gotten in the way of the checks. Hot could be passing to cold , cold could be passing too hot. Open at the unions and exercise and clear the check valves. And what @Jamie Hall said. If the water is not hot coming out of the coil than that is your problem. De-scale it or replace it are your choices, unless you want to add an indirect water heater. Or a new water heating option all together. What are the settings on the aquastat? With a tankless and mixing valve its typically 180 Hi, 160 Lo, 10 diff. Agree with the others about scale. Look into an indirect water heater. More efficient than the coil. The you can add ODR to make it even more efficient. 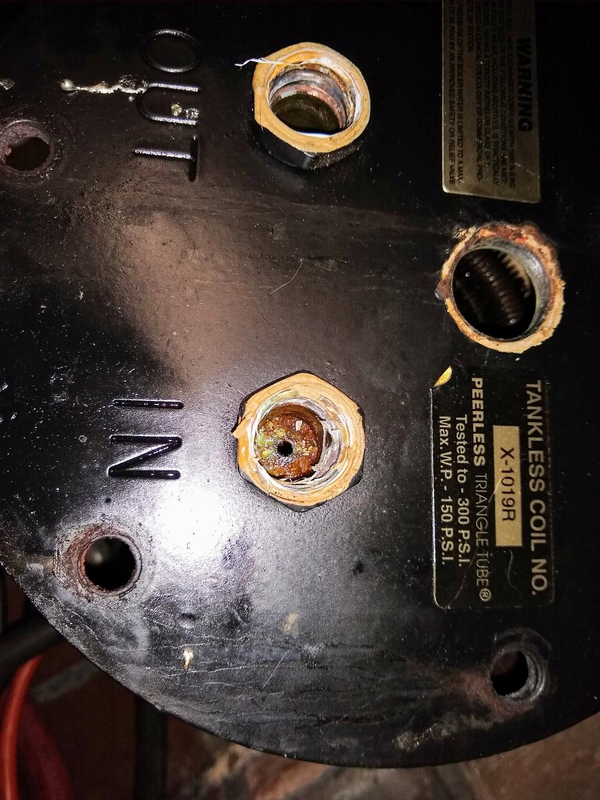 You might have a bad valve right out of the box. From what you are describing the valve is trying to hunt for a temperature. Is the new valve doing the same thing the old valve was doing? Have you tried adjusting the temperature on the valve? Did the water get hotter? Did it still fluctuate the temp?